What Was the Turning Point for the EV Industry? Even six months ago the vast majority of experts did not believe wholeheartedly that the EV industry was on the verge of the mass market. There was confidence things would get better, there were certainly improvements in technology, but this is a sector which has been so near but yet so far from the mass market on numerous occasions. Today we stand on the verge of a major breakthrough for the electric vehicle industry. We stand on the verge of a major shift in travel around the world, but what was the turning point this time round? The fact is that if we look at the EV industry over the last 12 months there have been some major ups and some major downs but the industry kept on going. In years gone by the industry would fall by the wayside at the first disappointment but things are certainly different this time around. While many people will be sick of the sight of Tesla Motors and its entrepreneurial Chief Executive Officer Elon Musk the fact remains that he has done more for the EV industry in his lifetime than the rest of the EV leaders of years gone by. There were times when the company could have fallen by the wayside, there were times when it needed a major push to deliver on schedule, and a number of spats with the media seemed in many ways to spur Elon Musk onto more prominent victories. 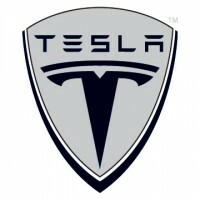 Quote from ElectricForum.com : "There's no doubt that the name of Elon Musk is synonymous with Tesla but where do you think Tesla would be today if Elon Musk had not been at the helm?" Even though it would be wrong to look at one specific news item, one specific event or one specific person as being the turning point for the industry, perhaps Tesla's announcement of an affordable EV by 2017 focused the minds of many? Over the last few weeks we have seen an array of American car giants, many of whom were against electric powered travel in years gone by, suggesting that they were looking to be number one in the industry going forward. We have seen companies such as Chrysler stepping into the market after seemingly dismissing EV travel as something of a fad. One of the major factors which held back the electric vehicle industry in years gone by was the inability of the industry itself to move en masse to a new technology. Many of the major players in the industry held back on EV travel, thus delaying development of the industry and eventually starving the EV sector of much-needed investment. Recently however, many of the car giants holding back the industry have finally given in and decided to increase their exposure in the future. While there have been a number of news stories and events over the last 12 months which have assisted the EV industry the fact is that momentum has been growing for some time now. There have been setbacks along the way and there have been disappointments but the industry today is as far forward in the eyes of the public as it ever has been. More and more experts believe the EV industry is on the verge of cracking the mass-market and there are few reasons to argue against this!